Members of the Gladfelter Circle Advisory Council promote giving at the Gladfelter Circle levels and serve in an advisory capacity to the Trust. The purpose of the Gladfelter Circle Advisory Council is to encourage other individuals to join the Gladfelter Circle by pledging an annual gift of $2,000 or more. 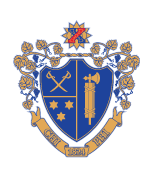 In addition, the Council serves in an advisory capacity to the Chi Phi Educational Trust on matters pertaining to the Gladfelter Circle and Chi Phi’s major gift programs. If you are interested in serving on this Advisory Council, please contact Director of Development, John Fisher at fisher@chiphi.org or 404.231.1824.